Even today, countless people all around the country use water wells. Instead of relying solely on what their utility company provides, they also have the option that they have more control over. But with that control comes the added responsibility that their water system is in good shape. Regular maintenance is a reality for water well owners that shouldn’t be ignored. So how do you know when your water well needs to get inspected? There are several signs to watch out for that point to the need for maintenance. Make sure you keep an eye out for these so they can be fixed before they develop into bigger issues. Here are the three most common indicators for water well maintenance. If you’ve had your bathtub for a long time, you may notice some discoloration throughout its surface. These are called bathtub rings and they’re usually formed by the build-up of soap scum and oils from bathing products. It forms a ring because the substances that cause the discoloration are often suspended on top of the water. But it’s not just bathing products that can cause bathtub rings. The water itself can also contribute to its formation, depending on what is present in it. If there’s an excessive amount of calcium or magnesium in the water, they can build up in the same way to cause discoloration. While it is possible to keep cleaning them once they become too visible, it’s better to address the source of the issue. Water well maintenance checks can include the adjustment of the filter system and water softener to prevent those excess minerals from getting through to your pipes. Much like bathtub rings, you may have also noticed your faucets or having white stains that keep coming back. These make your fixtures look scaly and can be tough to remove. Their cause is the same – excess minerals in the water. 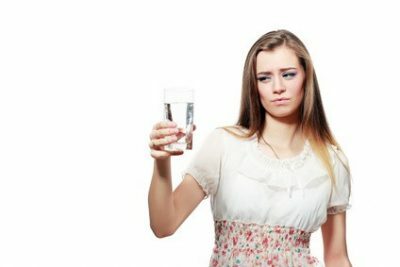 Water is considered “hard” when there is an excessive concentration of certain minerals present. While they’re not necessarily a health hazard, it can cause stains such as those described here. In more extreme cases, they can also build up inside your plumbing which can cause them to clog up. Don’t let it get to that point by sticking to a good maintenance schedule. Whether it’s for washing or drinking, smelly water is a definite no-no. It may not pose an immediate health risk, but it’s disgusting nonetheless. The cause could be sulfur in the water which is produced by certain bacteria. They produce gasses which cause that foul odor. The sulfur in water can also affect your silverware. Hydrogen sulfide can cause it to tarnish, removing its shine and ruining its fine appearance. If you notice any of these signs or anything else unusual about your well water, you need to act fast. 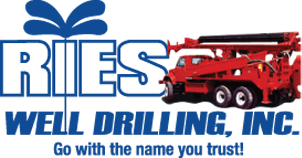 Get in touch with water well service providers such as Ries Well Drilling. We provide water well installation, repair, and maintenance services. Get in touch with us to prevent any headaches with your well.